I am sure my clients are well aware of the fact that Pilates has consumed me for many years! I have grown and evolved enormously as a person and teacher through my own Pilates journey, hence my passion to share the many benefits with others. I am forever thankful that even through life’s ups and downs I can always count on the fact that I have the ability to move and release stress and tap in with how I am feeling – something we should never take for granted. Connecting the physical with the mental is my life passion! What drives me each and every day is creating something that helps other people. My work inspires me to be better, to know more, to learn all that I can and to build on my own skillset to be able to help others. I like to think of myself as a questioner and an explorer and am always looking for ways to be the very best version of myself. In doing so I hope to share this with my clients and students. I am forever grateful to be given the opportunity to do this every day through my business. So a new phase for Core Pilates Brisbane will begin! Apart from continuing to deliver the best in Pilates sessions, I have chosen to adventure outwards and focus on helping people achieve the richest and healthiest life they can by offering additional services and workshops. My dream is to one day create a wellness centre that encompasses a full package of services for holistic health and wellbeing. The Core vision is to help people move better, feel better and live the happiest and healthiest life they can. How I believe Core Pilates can do this is to empower each and every person who comes to the studio with the knowledge they need to be able to achieve their very best. With a team of experts with a deep passion for mindful movement and health, we aim to facilitate positive, progressive and lasting change for bodies and minds. If we can inspire you to find your own version of a strong body, healthy mind and happy spirit our work is done. So to fulfill the Core vision the first step is launching our new website! 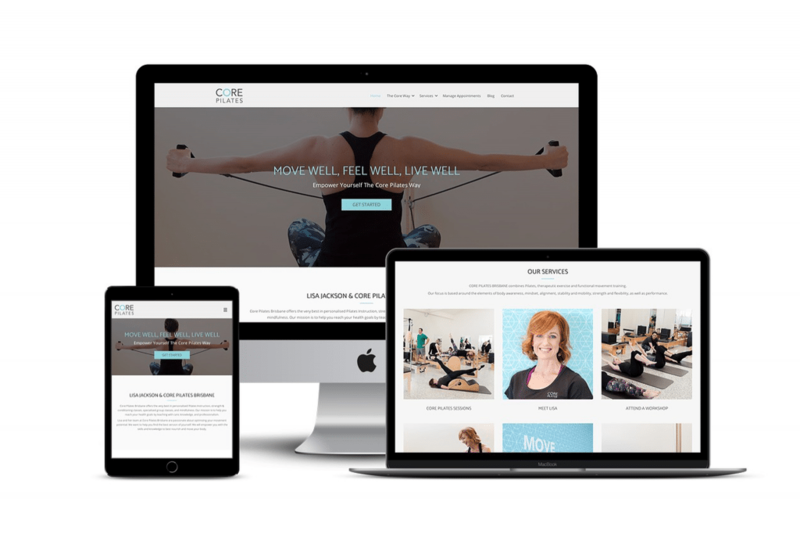 (www.corepilates.com.au) I am very excited to have the new site up and running and I believe it truly encompasses our vision with room for growth and expansion into additional services and classes. This workshop will discuss the many benefits of practicing mindfulness and meditation with research that supports this. You will find out more about what mindfulness involves, understand how easy it can be and how it can really make a difference in your everyday life. You will learn how your stress levels can have a huge impact on your physical abilities and the results you want to achieve through exercise. They are all connected!! Book Now and take the next step to a better you. I hope you are as excited as I am by some of the changes I am implementing, I hope to continue to bring the best in health and fitness to each person and hope that together we can build a strong and healthy community of awareness and amazingness! !